By his own admission, former “Republic of Doyle” star Allan Hawco is, in terms of casting, not exactly front-tier on “Frontier” — and he wouldn’t have it any other way. 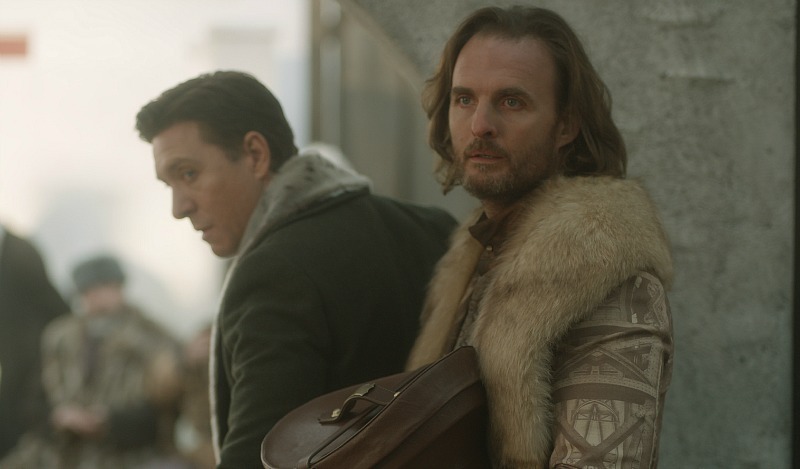 The St. John’s-based series about fur trappers and colonial clashes in ferocious, pre-confederation Canada returns to Discovery for a second season beginning Wednesday (production partner Netflix shows the series worldwide at a later date). Continue reading. Discovery, primetime’s most-watched entertainment specialty network in Canada among total viewers and key adult demos, announced its 2017 fall lineup today, headlined by an unrivaled 2017/18 original Canadian programming slate. Discovery’s primetime schedule continues to be underpinned by an unprecedented array of wildly popular homegrown programs for fall and winter, produced both in-house and in partnership with some of the country’s most successful independent production companies. In all, Discovery features six brand new programs joining 13 returning original series to headline its schedule for the 2017/18 broadcast year. New to Discovery’s production slate are character-driven series LAST STOP GARAGE, airing Mondays at 9 p.m. ET/6 p.m. PT beginning Oct. 23; ROCKY MOUNTAIN RAILROAD (Winter 2018); and HELLFIRE HEROES (Spring 2018). These series are complemented by one-of-a-kind original specials, including the Exploration Production Inc. (EPI)-produced SATURN: INSIDE THE RINGS (Friday, Sept. 15 at 7 p.m. ET/4 p.m. PT), featuring DAILY PLANET’s Dan Riskin, as well as the cutting-edge mystery solver from Discovery’s popular “DRAIN” series, DRAIN ALCATRAZ, coming this November. Following the network’s first foray into original scripted drama last fall, Discovery features the exclusive and thrilling world debut of FRONTIER’s second season, airing Wednesdays at 10 p.m. ET/7 p.m. PT beginning Oct. 18. Featuring international film star and Canadian Screen Award nominee Jason Momoa (Justice League), the new season sees new alliances threatening to topple the established power dynamic, as loyalties shift and old wounds fester. But first, the Fall 2017 schedule kicks off with Season 23 of Discovery’s flagship series DAILY PLANET – currently enjoying its most-watched year in series history –continuing to go where no one else dares. Kicking off a new season with “Boldly Go Week”, airing Monday, Aug. 28 through Friday, Sept. 1 at 7 p.m. ET/4 p.m. PT, the original series currently reaches more than 1.4 million viewers each week, and continues to win its 7 p.m. ET timeslot versus other Canadian entertainment specialty channels among key adult demos. The 2017 fall season follows a highly successful broadcast year for Discovery’s original Canadian programs, which featured the debut of HEAVY RESCUE: 401 in January as the #1 original Canadian series launch of the season on entertainment specialty television, followed by last fall’s world debut of the network’s new scripted series FRONTIER. In 2016/17, Discovery was also home to the most-watched unscripted specialty series in Canada among A18-34 and A18-49, CANADA’S WORST DRIVER. Winning three of seven nights per week in primetime among A25-54 viewers – more than any other entertainment specialty network – Discovery also claims four of the Top 10 series on entertainment specialty television in the current broadcast year withCANADA’S WORST DRIVER, HEAVY RESCUE: 401, GOLD RUSH, and HIGHWAY THRU HELL. Internationally recognized winner of the Canadian Screen Award for Best News or Information Series, DAILY PLANET returns for its 23rd season – Monday-Friday at 7 p.m. ET/4 p.m. PT beginning Aug. 28. Top 10 Entertainment Specialty program HIGHWAY THRU HELL returns for Season 6 – Tuesdays at 10 p.m. ET/7 p.m. PT beginning Sept. 5. Investigating the stories and science behind major aviation crashes, Season 17 of MAYDAY – Fridays at 10 p.m. ET/7 p.m. PT beginning Sept. 8. Exploring the genius of flight technology with the aid of high-end CGI is Season 4 of MIGHTY PLANES – Sundays at 7 p.m. ET/4 p.m. PT beginning Sept. 10. Long-time international favourite, HOW IT’S MADE returns for Season 30 –Mondays at 8 p.m. ET/5 p.m. PT beginning Sept. 11. Traveling the world to explore how everyday objects can be deconstructed and reimagined in incredible ways, MADE BY DESTRUCTION returns for Season 2 – Mondays at 8:30 p.m. ET/5:30 p.m. PT beginning Sept. 11. **NEW SPECIAL** As its final act, Cassini – the largest interplanetary spacecraft NASA has ever built – will dive into Saturn’s atmosphere, collecting unprecedented science to end its 13-year mission orbiting the ringed jewel of the solar system. The one-hour special SATURN: INSIDE THE RINGS(Friday, Sept. 15 at 7 p.m. ET/4 p.m. PT) unveils the engineering of the mammoth spacecraft, while shining a light on the team that responsible for a range of incredible discoveries. As new alliances threaten to topple the established power dynamic, loyalities shift and old wounds fester in the thrilling second season of FRONTIER (Wednesdays at 10 p.m. ET/7 p.m. PT beginning Oct. 18), headlining Discovery’s fall schedule with a six-episode broadcast event. **NEW SERIES** LAST STOP GARAGE (Mondays at 9 p.m. ET/6 p.m. PT beginning Oct. 23) follows the often hilarious antics of CRB Automotive, the sole auto repair shop at the end of the only road left before hitting the most remote North American wilderness. Discovery’s most-watched original series among key adult demos, CANADA’S WORST DRIVER (Mondays at 10 p.m. ET/7 p.m. PT beginning Oct. 23) enters its 13th season. Season 2 of TOUGHER THAN IT LOOKS (Mondays at 11 p.m. ET and 11:30 p.m. ET/8 p.m. and 8:30 p.m. PT beginning Oct. 23) stars CANADA’S WORST DRIVER’s Andrew Younghusband in search of wildly different experiences in each episode. **NEW SPECIAL** The world’s most infamous prison was also its most inescapable. But why? Many have tried to solve this mystery, but none have searched beneath the waves…until now. DRAIN ALCATRAZ (November 2017) uses cutting-edge CGI and sophisticated technology to “drain” the seas and scrub the sediments, revealing once and for all why Alcatraz was so difficult to escape. **NEW SPECIAL** Inspired by the best-selling book from author and DAILY PLANET co-host Dan Riskin, MOTHER NATURE IS TRYING TO KILL YOU (Fall 2017) takes viewers on a lively romp through the underbelly of the natural world. With a unique combination of animation and live action footage, Mother Nature has never looked so twisted. The one-hour special brings to life the sordid tales of insects, animals, and creatures behaving in such shocking fashion that viewers will surely never think of nature in the same beautiful, pleasant way again. Long-running international hit MIGHTY SHIPS (December 2017) sets sail on a new high-stakes voyage for Season 10, taking viewers on the journey and below the surface to explore places and technologies that are usually off-limits to land lovers. ROCKY MOUNTAIN RAILROAD (Winter 2018) takes viewers on an action-packed journey to discover an extraordinary Canadian way of life, meeting everyone from off-gridders whose sole source of resupply is the rail to the hardy crews who do whatever it takes to keep these extreme railroads running. Character-driven docuseries HELLFIRE HEROES (Spring 2018) gets up-close-and-personal with firefighters who’ll do just about anything to keep their community safe in the bullseye of the forest fire danger zone, Alberta’s remote Slave Lake. Last season’s most-watched Canadian program debut, HEAVY RESCUE: 401(Winter 2018) returns for a second season to follow Heavy Rescue operators as they keep some of North America’s busiest highways moving. Following the adventures of the jade-mining Bunce Family in northern B.C. is Season 4 of JADE FEVER (Winter 2018). Season 31 of HOW IT’S MADE (Winter 2018) returns for a second helping this broadcast year, continuing to look behind the scenes at how everyday things are manufactured during Season 31. Returning to investigate more major aviation disasters is Season 18 of MAYDAY (Winter 2018). Lisa Rose Snow is an award-winning filmmaker and performer who was raised by the ocean and now resides in Toronto. 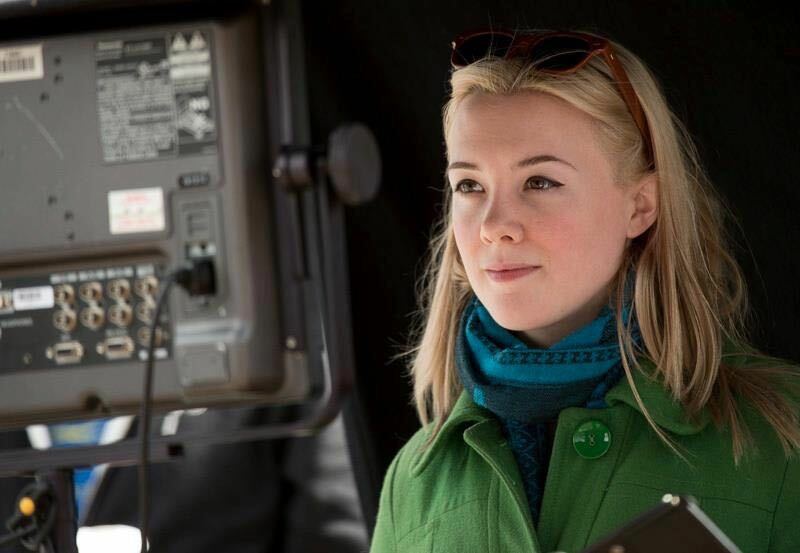 Since graduating from the Canadian Film Centre’s Writers’ Lab and participating in the Reykjavik Film Festival’s Talent Lab, she has been busy working in television writing rooms on Frontier (Netflix), Ten Days in the Valley (ABC) and Little Dog (CBC). Snow is currently co-writing an episode of The Stone Diaries which is in development with HalFire Entertainment, and working on developing two of her own series – Tongues and Over Easy. In 2013, Snow won a Wave Award during WIFT Atlantic’s ‘Women Making Waves Conference’, the first time this award has ever been given to an emerging artist. She’s passionate about championing women and underrepresented voices on screen, and has been honoured to mentor under Sherry White, Tassie Cameron, Michelle Lovretta and Thom Fitzgerald. Note: ABC announced Ten Days in the Valley will air Sunday nights this fall. Check out the trailer. Final data from Numeris confirms the world premiere of Discovery’s FRONTIER is the most-watched Canadian scripted series debut on entertainment specialty this year with an audience of 571,000 viewers, it was confirmed today. In all, 1.35 million Canadians watched some part of the series premiere on November 6, and 2.5 million viewers have now watched some part of all the broadcasts of the debut. For its debut, FRONTIER made Discovery the most-watched Canadian entertainment specialty channel among total viewers and all key adult demos during Sunday’s hyper-competitive 9 p.m. ET timeslot. The chaotic and violent struggle to control wealth and power in the North American fur trade continues with the world premiere of Episode 3 this Sunday, Nov. 20 at 9 p.m. ET/6 p.m. PT on Discovery. Viewers can catch-up on Episodes 1 and 2 on the Discovery GO app. Discovery’s digital experience FRONTIER: DARK PROVIDENCE is now available at Discovery.ca/Frontier. Offering deeper viewing with in-depth character features, the web and mobile experience centres on six distinct, video-based character stories with interactive, real-time overlays controlled by the user for a truly immersive interaction. Each layer adds depth and texture to characters than can be experienced within the already rich story in the television program. The product is not only visually stunning, but also technologically impressive, featuring content that reflects the graphic nature of this bold, historical series. FRONTIER is co-created by Rob and Peter Blackie, and produced by Take The Shot Productions and ASAP Entertainment, in association with Discovery, the exclusive Canadian broadcaster. Netflix is the international broadcast partner.